There are different stages of how things come and go. 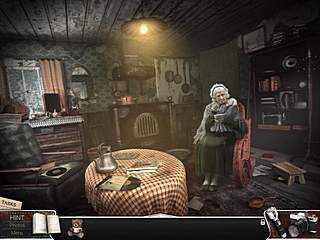 For example, long time ago we had the genre of hidden object games. Then they slowly turned into the hidden object/adventure kind of games. And right now, we observe the stage when things become more and more polished, which is inevitably followed by something new. We only have to wait now. You play as a man who seems to have met a girl from his past. The girl looked very strange. Shiver: Vanishing Hitchhiker is a great example of how things new to this genre are being developed and taken to the point when they eventually make up a bigger part of the game than other parts. The game introduces you in the very beginning to the main characters without giving away what the story is all about. You play as a man who seems to have met a girl from his past. The girl looked very strange. He met her on a highway soaking wet. He dropped her to a small town and left, but then came back to find her. That's what you start with. You are exploring the small creepy town trying to find her. The place is one of those where you wouldn't want to find yourself in reality. You will meet and interact with different characters on your quest. The graphics are very detailed and realistic creating the needed horrifying atmosphere together with the sounds of rain and breathing, for example. Plus players like me will notice and appreciate that the game is voiced at least in some parts. You will spend most of your time here wandering around and searching for some items to fix something or open or breake. That is not new, but it is obvious that the developers put a lot of efforts and time into it. 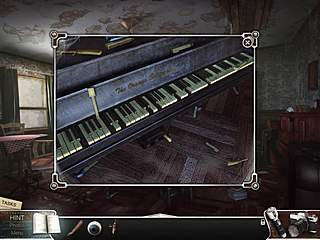 There are also hidden object levels. They are not few, but they still don't feel like a major part of the game. The mini-games are present here only in the form of a natural part of the general quest. There are times when you are in a dark place, but you still need to find the objects or just explore the area. In those cases you use your flashlight. That was a nice fresh addition to the searches. 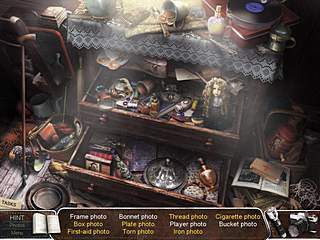 The game is definitely worth of the hidden object/adventure genre fans. It is full of challenges and mysteries as well as additional levels. This is Shiver: Vanishing Hitchhiker CE for Mac review. Download this game here.